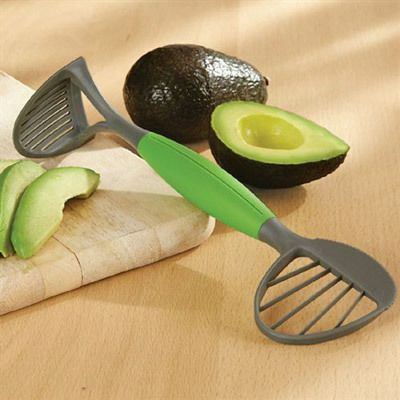 Cut, pit, slice, scoop and mash with this Avocado Multi-Tool...then reap the healthful benefits of this nutrient-rich super food. Dishwasher safe plastic. 9¼"l.
This tool is great! We just love it. The Avocado is quick and easy and we eat many of them.